This is a map of the City’s current flood plain. The map was adopted by city council in June 2013. This is the map that insurance companies and FEMA rely on to determine if you are in a flood plain and what zone. 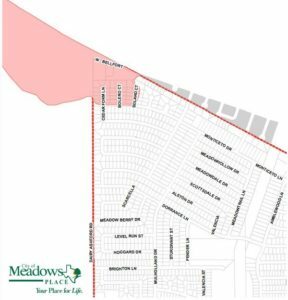 Meadows Place has a total of 576 acres of Residential and Commercial property and 13 of those acres are in the flood plain. That includes 33 residential lots and one commercial property. View the flood map below to see what the flood plain looked like in Meadows Place from 2000 to 2010. Look above to see the newest flood plain map. 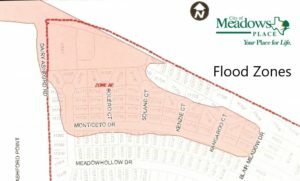 Meadows Place has a total of 576 acres of Residential and Commercial property and 19 of those acres are in the flood plain. That includes 58 residential lots and one commercial property. 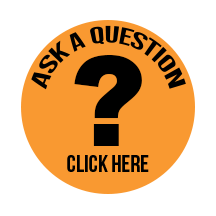 For more information on living in the floodplain call the flood plain administrator at 281-983-2961.